For the following problems, the CD player that is mounted in the trunk will need to be serviced. These units are held in the car by two brackets that can be easily seen by moving the trunk lining from around the player. Once unbolted, the changer has a connector on the black wire about 10 inches from the unit. See below photo shows how the liner moves from the top. Most of the Accords have the changer mounted at the top left side of the trunk, with a bar coming around front of it, to protect it. This bracket with bar holds the changer. They have 3 bolts (10mm) that bolt to the top of the trunk. The bolt closest to you is the only one that has to be taken all the way out. The other 2 just need to be loosened in order to side the bracket out. Then just unplug the changer from the connector that's about 10 inches from the backside, on the cable. It has a latch to squeeze and it just pulls apart. 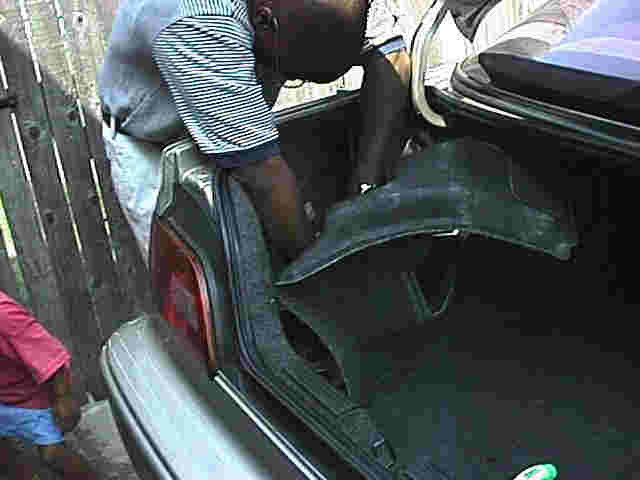 IMPORTANT: finger tighten the 3 bolts in order for them to hold the nuts/brackets in place at the top of the trunk. Without the bolt in there, they are loose and will fall out and possibly be lost, or you'll have to figure out where they go. The changer can be sent with the bar/bracket or without - it is held on by the 2 screws on each end. Whatever it comes in with (CD's, magazine, bracket) we mark them as yours and it all comes back to you. However, what you hold on to doesn't have to be tracked so carefully. CD cartridge jammed in the changer. My dealer quoted me $285 and at least two weeks delay for the repair. I found Willman's on the web, and I found a lot of positive comments about Willman's on an Acura NSX owners' website. R & R Tips: I had had the dealer remove it. Had I known how easy it was to remove/install I could have done it myself. 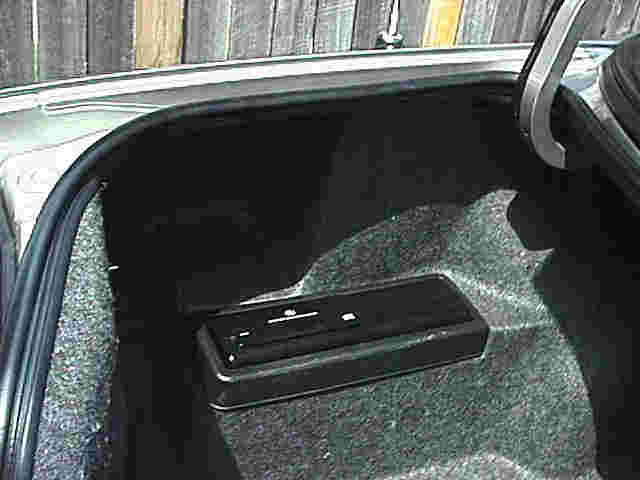 My wife's '95 Acura Legend came with a Bose 6 CD changer built in to the trunk mated to a Bose AM/FM radio. A month ago the CD player started acting squirrelly and two weeks ago quit entirely. I called the Acura dealer who quoted me $400+tax. I talked with various local car stereo shops who had solutions that were not plug compatible. Most hooked into the antenna and played through the FM receiver. Wouldn't fit in the original hole using the stock trim pieces. Average price including installation was around $200. 90 day warrantee. Found a plug compatible unit from Tiawan for $130 with no warrantee other than if it came DOA. It too would not fit the original mounting scheme. Used replacement units on eBay were going for $170-225 with no warrantee. Finally happened across Willman's Electronics http://www.willmanselectronics.com/ while doing Google searches. Checked with the Dallas BBB who had no complaints against them and decided to let them repair my unit. They charged me $120 (including shipping) and gave me a 12 month warrantee. I sent the unit to them UPS ground on Wednesday, Dec 10. It arrived at Willman's on Thursday, Dec 11 in the afternoon. They repaired it and shipped it out on Friday, Dec 12 arriving at my place last night. I installed it and all is now well again.